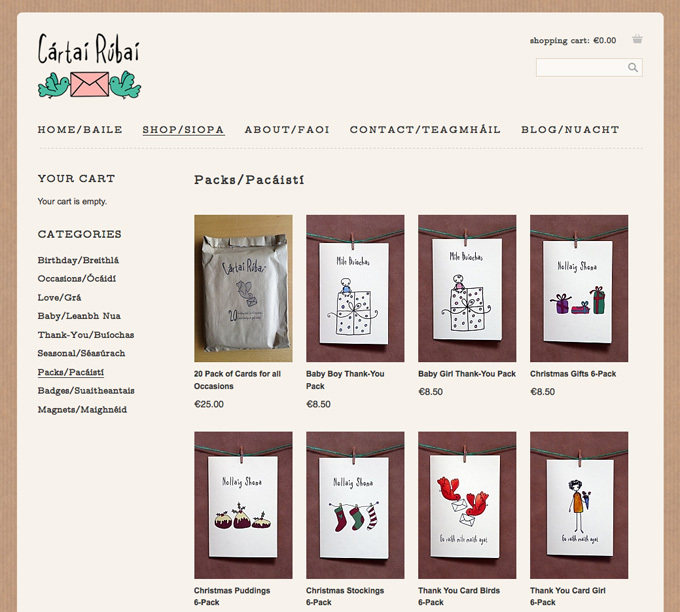 We were delighted to work with the team from Cártaí Rúbaí on their new e-commerce website for their range of Irish language cards and goodies. 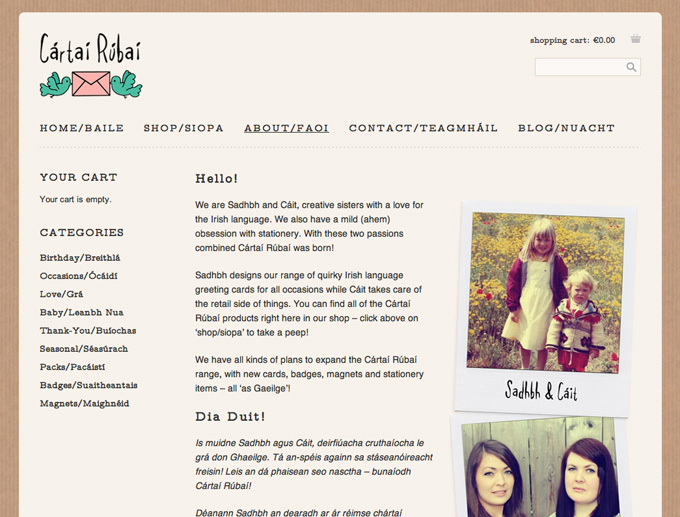 Congratulations Sadhbh and Cáit on your new site! 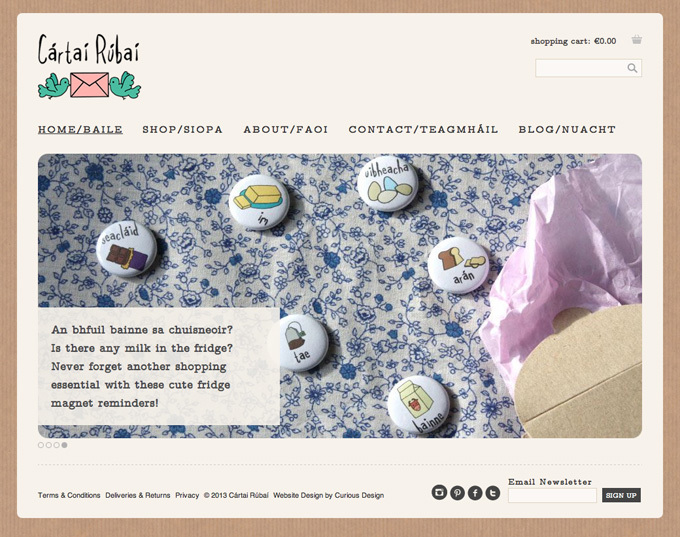 If you are looking for a new e-commerce or brochure site get in touch for a free quote – we’d love to hear from you! Some good advice about logo design from will.i.am, although I think he got a little lost in India! 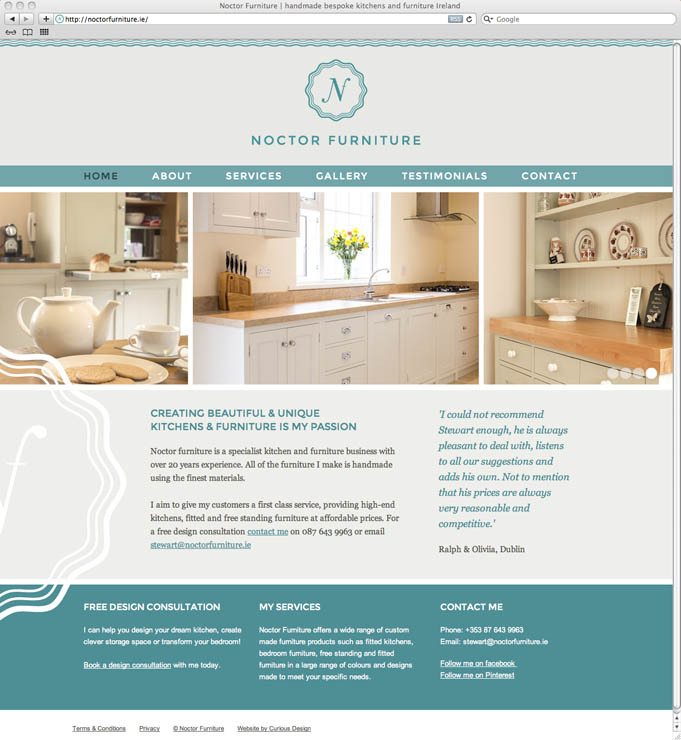 Here is an example of a new logo that we have just finished working on for our lovely client Stewart from Noctor Furniture. We think it ticks all the right boxes. Stewart’s new website launched today, congratulations Stewart!